Chemically relaxing the hair usually results in shiny, straight hair. However, the common side effect of this procedure is the burning of the scalp from the harsh chemicals. In order to prevent scalp burning, there are things that you should avoid doing before and during the hair-relaxing procedure. Use a soft-toothed comb when brushing your hair one week before the scheduled date of chemical hair relaxing. The soft tooth will prevent you from accidentally scratching or wounding your scalp, which usually is one of the reasons for the burning sensation when the chemicals are applied to your hair. Cut your nails short one week before the chemical hair relaxing so the long nails will not wound the scalp when you are scratching your head. Trim your nails with the nail clippers, cutting only the white part of the nail. Try to avoid scratching your scalp, but if you can’t help it, scratch gently. Scratching the scalp can also be done accidentally while shampooing the hair, so massage the scalp gently while shampooing. Apply a base cream to the scalp as well as the hair line before applying the relaxer. Use your fingers to apply the cream to these areas. This cream will help protect the scalp and hair line from burning. The chemicals in the relaxer are very strong, and some people’s scalps will tend to “burn” even if there are no scratches. Apply the hair-relaxing cream to the hair. Distribute the cream using the soft-toothed comb so it will spread evenly. Avoid getting the cream into the eyes or other parts of the face. The cream can be irritating to any skin on your body. Monitor the time that the relaxing cream is on the hair. 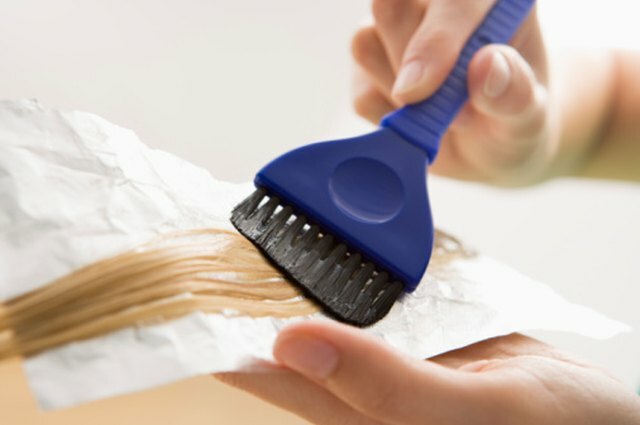 Leaving it on for a long time will cause the chemicals to irritate the scalp. The cream should sit for only 30 minutes at most. Rinse the hair well with water after treating the hair. Rinse the hair over a sink or in the bathtub. If there is a part of the scalp that is starting to burn, ask someone to spray that part with water. Usually the burning sensation will disappear after water is sprayed. Rinse the hair immediately if you feel a burning sensation and it is getting worse, even if the relaxer hasn't been on your hair the full 30 minutes. It will be better to avoid damaging the scalp rather than treating the hair. Do not spray any alcohol or other hair chemicals when the hair is filled with relaxing cream. It will worsen the burn. Can You Go Swimming Before a Chemical Hair Relaxer?